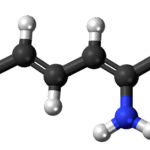 The atomic structure is a chemical representation of the design and chemical structure of the smallest unit of an element involved in a chemical reaction. 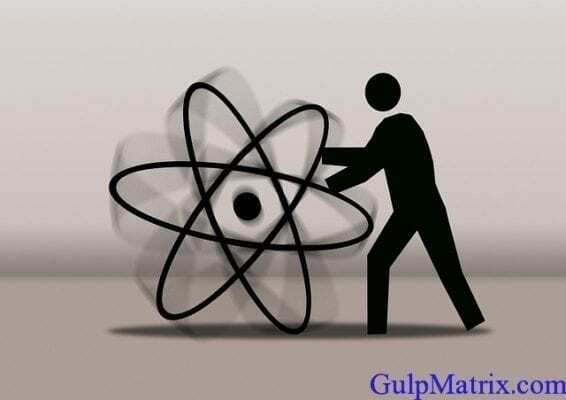 In studying the structure of an atom, we must first establish some basic characteristics, features and properties of a given atom in terms of the number of electrons and protons it has, its electronic configuration and spatial arrangement, the type of bonding it undergoes and the number of valence electrons it has. 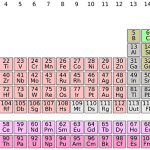 For a chemistry student or researcher, The underlisted 15 important characteristics and properties of the atomic structure is germane in understanding how the structure of an atom affect the type and speed of a chemical reaction involving a given element. 1. In analyzing the atomic structure, the first step is to identify the make up of an atom. 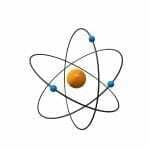 The atom is made up of electrons, protons and neutrons. 2. When an electron of an atom in its ground state absorbs a quantum of energy from light or radiation, it would jump to a level of higher energy and the electrons are said to be excited. When the electron returns to its ground state, it emits the quantum energy it absorbed, producing a line in the line of emission spectrum. 3. Rutherford’s atom consists of a positively charged core called the nucleus, where most of the mass of the atom is contained, and the electrons, which move around the nucleus. 4. The energy of an electron is characterized by four quantum numbers. These quantum numbers are:– The principal quantum number, n, the subsidiary quantum number, I, the magnetic quantum number, m, and the spin quantum number, s.
5. The arrangement of electrons around the nucleus of an atom is determined by the four quantum numbers of each electron in the atom. 6. Bohr’s model of an atom posits that (i) an atom contains minute nucleus consisting of protons and neutrons which contribute to most of the mass of the atom and that (ii) the electrons revolve around the nucleus in circular orbits of definite quantum energy. 7. The atomic number is the basic property of an element. The atomic number, A of an element is the number of protons in one atom of that element. 8. The mass number, Z, of an element is the sum of protons and neutrons in its atom. 9. The Wave Mechanics Model of the atom does not restrict electrons to definite regions around the nucleus as the Bohr model does. Instead, it makes the electron elusive and indicates a region around the nucleus called an orbital where there is possibility of finding an electron with certain given amount of energy. 10. Isotopes of an element have the same number of proton(s) but different number of neutron(s). 11. The chemical ability of the rare gases is due to the duplet and octet electronic configurations in the outermost shells of their atoms. Other elements have a tendency to achieve these stable configurations through chemical combinations. 12. 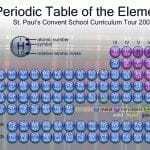 When elements are arranged in ascending order of atomic number, elements with similar chemical properties occur at regular periods which is the basis for the arrangement of elements in the periodic table. 13. Electronic or ionic compounds are composed of ions arranged in an orderly pattern to form crystal lattices. They are hard, brittle solids with a high melting point. In the molten or aqueous state, they conduct electricity. They are soluble in polar solvents like water. 14. 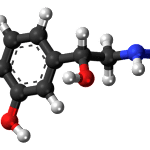 Simple covalent compounds are usually small molecules with a definite shape. They are often gases or volatile liquids. If they are solids, they have low melting points. Covalent compounds are non electrolytes and are usually soluble in non-polar solvents. 15. Van der Waals forces and the hydrogen bond are weak intermolecular bonds. The Van der Waals forces are weak attractive forces exist even between discrete molecules. These forces were first described by J.D Van der Waals, and are known as Van der Waals forces. These forces are much weaker than ionic and covalent bonds and are very useful and important in the liquefaction of gases and in the formation of molecular lattices as in iodine and naphthalene crystals. 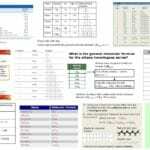 Be the first to comment on "15 Characteristics and Properties of the Atomic Structure"